A flat-head screwdriver is a tool used to either tighten or loosen slotted screws with a single indentation in the head. Flat-head screwdrivers are available in both metric and standard sizes. In addition to flat heads, the other common types of screwdrivers are Phillips and Robertson. A Phillips screwdriver works on screw heads that have a cross-shaped indentation, and a Robertson screw has a square-shaped head. Flat-head screwdrivers can be hand-held or powered with a drill. 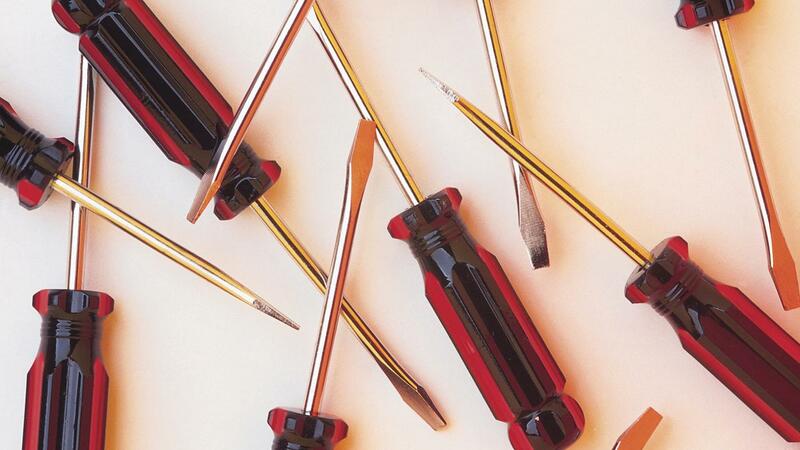 Hand-held screwdrivers have a handle made of plastic or wood and have either a hexagonal or oval shape to support and improve the user's grip. How Do You Use a Wood Lathe?